Yep, school portraits. Do they ever turn out the way you’d really like? This year, my son was poking fun at his picture and even shared it with his sister as “wow, did this turn out badly”. I love that he’s able to see the humor in it and also realize how typical it is that the picture not look right. So what’s a mom to do other than scrapbook about it, right?! Not horrible, but not really capturing who he is, either, unless you want to capture how awkward he feels having his school portrait taken! Isn’t that tons of fun? This is a design team project for Pretty Papers, Pretty Ribbons and I’m over on the blog today sharing about it. 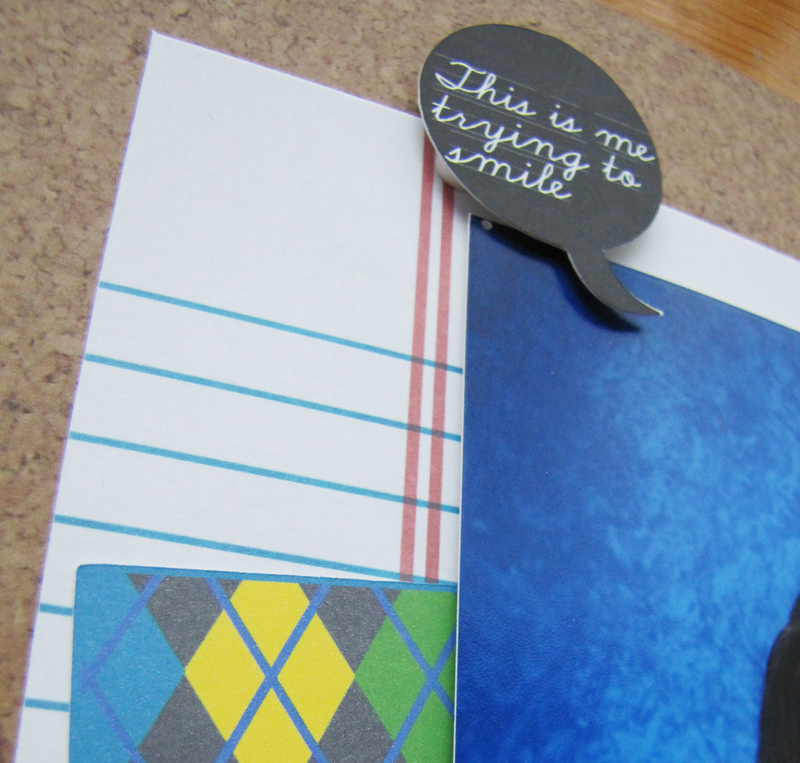 I really love the cork and the chalkboard in the School Days Chalkboards and School Days Pattern Pack! Gotta also love the fun argyle print for a great pattern for my growing boy and the awesome notebook paper, too. 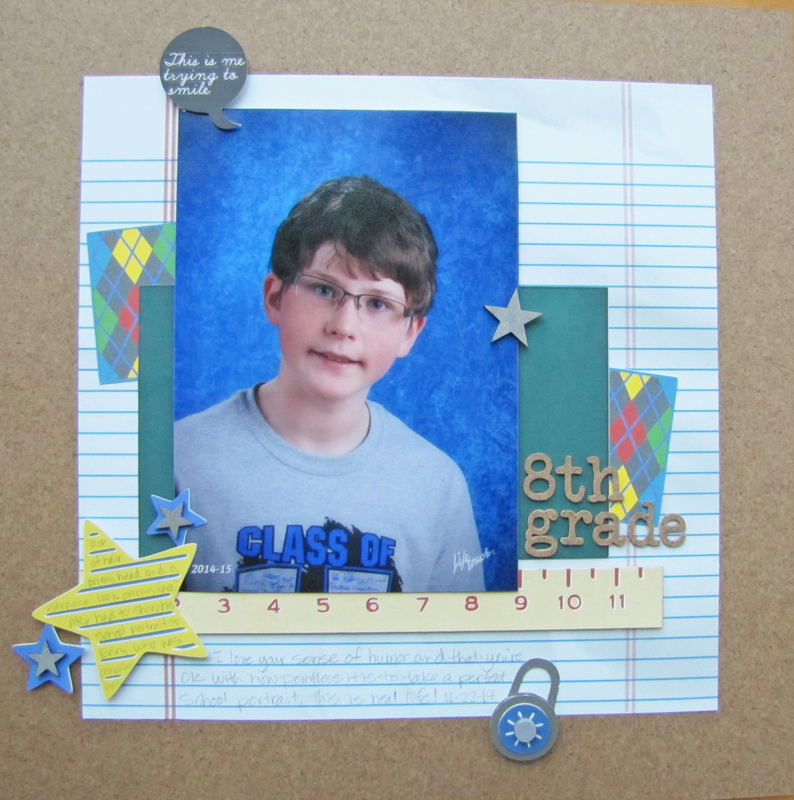 I also used the pale wood grain from the Pumpkin Spice Out West papers for the ruler pattern. And cut files? I played with the Primary Supplies Cutting Files for the ruler, the Secondary Supplies Cutting Files for the lock, the School Titles Cutting Files for the journaling star and the Speech Bubbles Cutting Files. I had a lot of fun with the layering and dimension on the ruler and lock and love the dimensional look I got on my “cork” title by layering four cuts on top of each other. So much fun and all with Alex’s words as part of the journaling with mine added at the bottom. 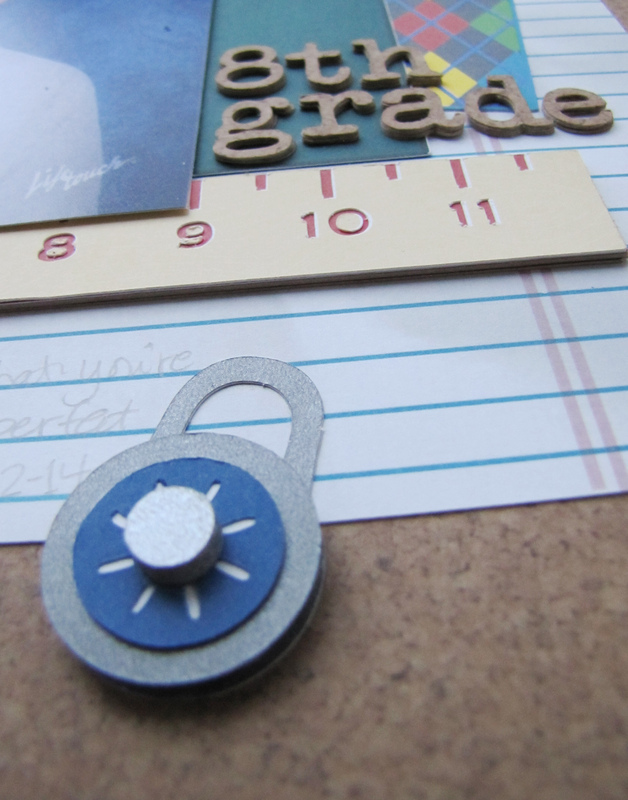 I really felt that the sketch worked perfectly for using the notebook paper and cork as the base for the page. Yay for that! And because I used a single photo, I’ll be linking up with the Lasting Memories LM #215 ‘Only One Photo’ challenge, also. 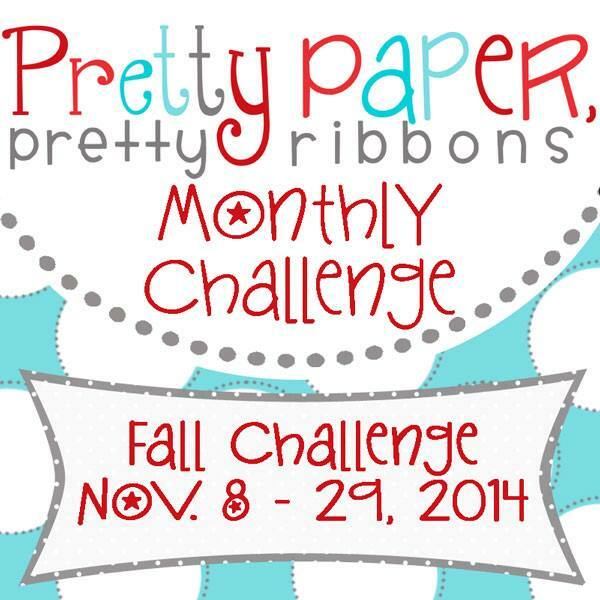 Are you busy creating awesome fall themed projects with Pretty Paper, Pretty Ribbons files? Be sure to enter the Fall Challenge going on right now. I’d love to see what you create! Best of luck to you! Thanks so much for stopping by! Happy scrapping! Cardstock – Bazzill, DCWV, Recollections; Digital die cut machine – Silhouette Cameo; Printer and ink – HP; Wood veneer – Teresa Collins; Ink – Clearsnap; Adhesive – American Crafts, Glue Arts, Tombo, Zig.